You need to make a lot of choices in retirement. Many people tout the benefits of investing in real estate. However, there is a less glamorous way to use your money for better returns. 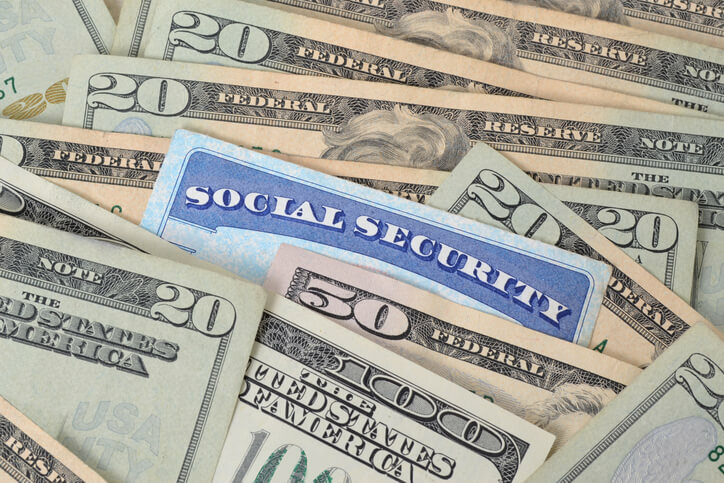 Delay collecting Social Security and your finances will win big. Here Henry K. “Bud” Hebeler outlines how delaying the start of Social Security is a better “investment” than even the glamorous idea of real estate. Get more from Bud at Analyze Now. There are a number of things people buy that they consider investments. However some are very, very difficult to sell and some are so dependent on market conditions when you want or need to liquidate, that it’s hard to call them investments. And some are bookkeeping headaches. For many, using savings for support while you delay collecting Social Security a few years may be a much better use of savings. Some kinds of real estate top my list as a poor retirement investment, not quite as bad as lottery tickets. Raw land is particularly bad. My first lesson was buying raw land with a partner who was a local commercial real estate agent. It was next to a mall, and we had hopes of getting it rezoned. After many years of spending lots of money for architectural and engineering support, we still couldn’t get the town council to approve of the rezoning. You have to be extraordinarily patient or lucky to make good money on raw land—while a simple stock/bond mix would have done much better over the same period. My next lesson was getting into partnerships for commercial and rental properties. Most of them were complete flops. Unless you are the general partner, you have no control over when the property will be sold—and it’s very difficult to find someone to buy your share. I still have one real estate partnership left which I bought into about 30 years ago. My attempts to get the general partner to sell have been fruitless. It makes a reasonable return, but we’re trying to leave a liquid estate to our heirs and reduce the work that will be required by the executor of our will. We did buy a vacation condo. Our early experience with renting during the time we were not using it turned out bad—because of low occupancy, damages by renters, and too much bookkeeping. So we stopped renting it out and now consider it a life-style cost, not an investment. The same is true of time-shares. They are notorious for almost assured losses and the need to plan your vacations a very long time in advance. If you are enticed with the prospect of owning a vacation time share, carefully consider the price you will get when the time comes that you want to escape the home-owners’ fees and property taxes. We do like Real Estate Investment Trusts, REITs, when in a low cost index fund. Such funds are easily sold and offer good returns. That said, the principal could fall appreciably in another real estate market crash. So, over all of these years I’ve come to believe that the best true investments are easily marketable index funds based on stocks and REITs, bonds and delaying collecting Social Security benefits. The latter brings a large increase in primary and spousal benefits, particularly at death of the primary earner. Each year of delay past the full-retirement-age increases the benefit by 8% plus lifetime inflation increases. The odds of Social Security Trust failure and subsequent reduced payments are very low for middle and lower income people. Higher income people may experience higher income taxes on Social Security, larger Medicare premiums—and in a number of years, perhaps a reduction in the basic benefit. It’s likely that delaying Social Security will still be the best investment, particularly for those with a younger spouse with low wage records. What is Best for You? Do Your Own Analysis! Use a Social Security calculator to figure out how much more money you will get over your lifetime if you delay the start of benefits. Or, compare different investment scenarios and different Social Security start dates in the NewRetirement retirement planning calculator. This is one of the most comprehensive tools available. Start by entering some basic information and get some initial feedback on where you stand. Then you can add a lot more detail and compare an infinite number of scenarios. See how different Social Security start dates or varying optimistic and pessimistic investment returns impact your finances. Forbes Magazine calls this system “a new approach to retirement planning” and it was named a best retirement calculator by the American Association of Individual Investor’s (AAII) and CanIRetireYet.